Twitter’s teen news breakers, take note: Stop reporting fake trades and start reporting fake fevers, because it’s almost time for finals, and the busiest week of baseball’s offseason is about to begin. The winter meetings start Monday in San Diego, where the transactions count will climb like the hotel bar tabs on traveling writers’ expense reports.1 While a number of big names have already been removed from the board, several choice free agents remain, with the trade market poised to supply any talent that the free-agent market is missing. Here are five questions to ponder as we count down the hours until a team (or a distracted attendee) makes the meetings’ first splash. 1. Are the Dodgers Going to Trade Matt Kemp? This was the no. 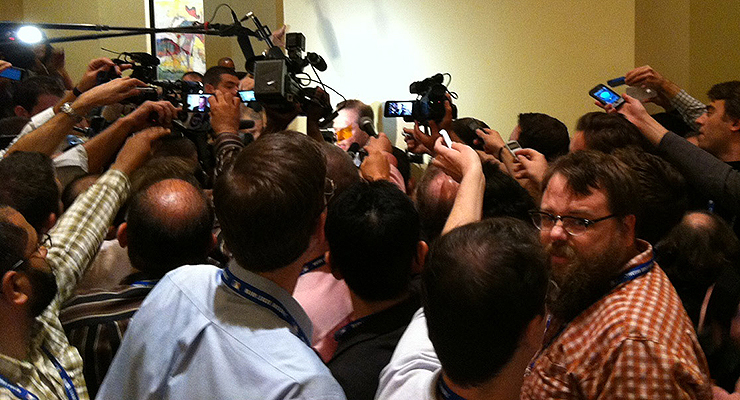 1 question on Jonah Keri’s winter meetings preview a year ago, so for tradition’s sake, let’s start the same way. Despite months of speculation that the Dodgers would deal Kemp, they had no pressing reason to trade an outfielder last offseason, and the expected move never materialized. Although they had four outfielders for three spots, the Dodgers’ redundancy was a wise hedge: Kemp and Carl Crawford were far from certain to stay healthy, and Andre Ethier’s vulnerability to left-handed pitching made him better suited to part-time play. Burying Ethier on the bench was extravagant, but where’s the fun in having baseball’s biggest payroll if you can’t afford to carry a fourth outfielder for $15.5 million? Since then, though, three developments have made a trade more likely. The first is the progress of Joc Pederson, who hit .303/.435/.582 at Triple-A and made it to the majors in September. Although that Albuquerque-inflated line doesn’t reflect Pederson’s true offensive potential, he’ll turn 23 in April and he’s ready for a more regular role with the big league club. Meanwhile, destroyer of southpaws Scott Van Slyke hit .297/.386/.524 in 212 at-bats, making him the most productive Dodgers hitter (on a rate basis) in the 50-PA-or-more club. On top of that, new president of baseball operations Andrew Friedman (who sometimes moves in mysterious ways) acquired Chris Heisey earlier this week. The outfield was crowded last winter, but now it looks like the line outside Foot Locker on LeBrons release day. Secondly, the competition for playing time led to some impatience among the former starters forced into more limited roles, even before Pederson’s promotion. The Dodgers could cram all of their outfielders onto the roster, but a second season of sporadic starts could make the bad blood boil over, and the depth might not make up for the clubhouse fallout (plus Pederson’s squandered development time). Lastly, Kemp hit and stayed healthy, making him far more attractive to teams this offseason than he was after an injury-plagued and unproductive 2013. Not long ago, Kemp’s contract looked like a burden, but the amount that Los Angeles owes him ($107 million over five years) isn’t much more than he’d make as a free agent in today’s market. The odds are still against the Dodgers dealing Kemp, just for different reasons. Last year, they would have needed to sell low and swallow a significant portion of his salary. Now, they’d be trading him at a more opportune time, but they’d also have to replace a lot of projected production. Kemp is a below-average defender, and the time he spent masquerading in center made his WAR appear pedestrian, but only Buster Posey outhit him in the second half, when pitchers approached him as if convinced that his power were fully restored. The Dodgers don’t have the payroll imperatives to trade Kemp for prospects, so they’d have to receive comparable present value in return. That goes double quadruple for Yasiel Puig, who contributes more and earns substantially less. And the Dodgers’ new front office of small-market Super Friends won’t surrender a young, cost-controlled player like Pederson lightly. Although this might be the time that the eternal Kemp talks result in a trade — a rumored intradivision swap with San Diego involving Yasmani Grandal makes some sense, since we know that Friedman values catcher framing enough to have given non-hitter Jose Molina hundreds of plate appearances in Tampa Bay — the most likely resolution is a trade/salary dump involving Ethier or Crawford. With four years and $56 million remaining on his contract, Ethier is making much more than he’s worth. However, several clubs are still looking for outfield help, and given that one team wanted Nick Markakis enough to spend $44 million on him, another would want Ethier if it could get him at a more reasonable rate. The Dodgers would have to take on half his contract to intrigue many teams, and more than that if they want useful human beings back, but Friedman won’t be embarrassed to eat a contract from the Ned Colletti years to free up room on the roster. Meanwhile, though Crawford is coming off a much better year, Los Angeles might be more eager to move him because he’s limited to left field, whereas Ethier could theoretically platoon with Van Slyke and spot start at any outfield position. However, Ethier has already indicated that he wants to start. That might end his tenure in Los Angeles, but we’ll always have the classic FJM fisking that it indirectly inspired. 2. Won’t Anyone Think of the Starting Pitchers? Think teams were aware that this was the weakest class of free-agent position players in years? The big spenders started the offseason fighting over the market’s meager offensive talent, as the Red Sox snapped up Hanley Ramirez and Pablo Sandoval, the Blue Jays lured Russell Martin to Toronto, the Tigers retained Victor Martinez, and the Mariners consummated their lengthy flirtation with Nelson Cruz. If the entrées were uninviting, the leftovers look bleaker than the HBO series, with Chase Headley and Melky Cabrera the biggest earners still unattached to teams. For the second straight winter,2 conditions have constipated the pitching market, as the run on position players forced teams to prioritize bats. So far, the largest contract signed by a starter is A.J. Burnett’s one-year, $8.5 million pact with the Pirates. 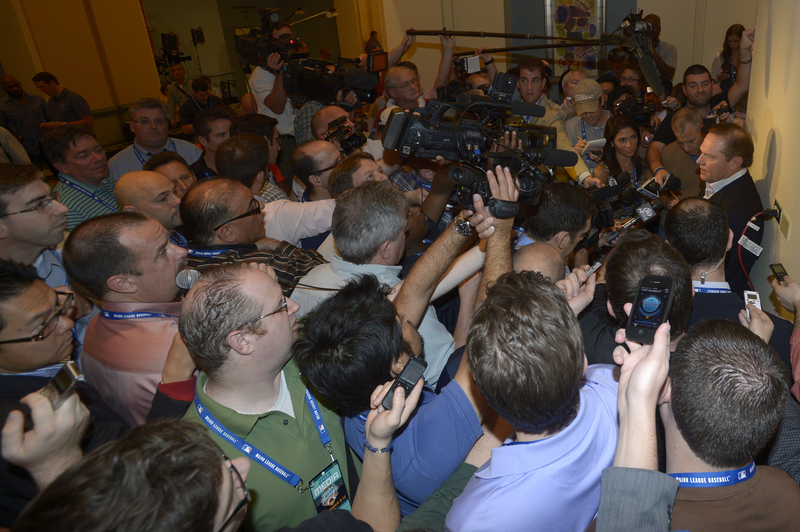 Fortunately, the winter meetings might be the Metamucil that the industry needs. Jon Lester is the pitcher most likely to make this list look outdated by signing before the meetings begin. 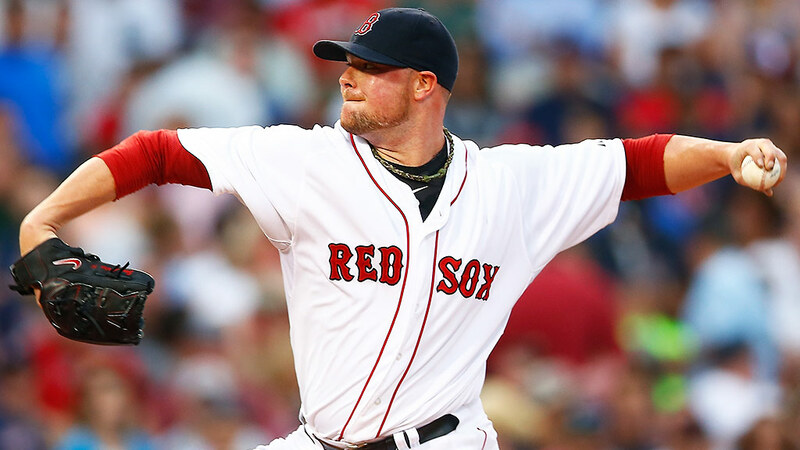 Lester has reportedly come close to completing his tour of interested teams, with the Red Sox, Cubs, Giants, and Dodgers believed to be his main swains. All four would benefit from his services, can offer a chance to contend, and have the resources to make the six-year offer in the $20 million–to–$25 million average annual value range that it would likely take to land him, which makes this a hard race to handicap. The Cubs and Sox seem to have the combination of fringy rotations and relatively low future payroll commitments that would be conducive to a deal, but the Dodgers have a bottomless TV contract and the Giants might have the fewest qualms about locking up a soon-to-be-31-year-old. Lester will end up with whichever club cracks and gives him an extra year or $5 million that the others aren’t willing to match. There’s been more buzz about a Cole Hamels trade than there has about a Max Scherzer or James Shields signing, but that will change once the Lester auction ends and the runners-up turn their attention to the free-agent arms that received (and rejected) qualifying offers. Although most executives believe that Lester’s delivery, repertoire, and price tag will provide better value over the life of his deal, Scherzer, who tied for first (FanGraphs) or finished second (Baseball-Reference) in AL pitcher WAR over the past two seasons, offers at least as large a short-term upgrade. Shields lacks the upside of Lester and Scherzer, but he does bring durability and a reputation for leadership. Brandon McCarthy will be a popular target, too, particularly for teams that can’t stomach long-term contracts and draft-pick compensation. 3. How and When Will the Red Sox Roster Even Out? The Red Sox built an imposing lineup by adding Ramirez and Sandoval, but their roster is as imbalanced as a bro who skips leg day. Boston’s positional depth charts go deeper than the cast of Too Many Cooks, but the rotation lacks even a single dependably above-average starter. There’s no one way to construct a contender, but even if the Sox are planning to slug their way to the postseason, they’ll still have to get a little less lopsided than this. Landing Lester would be a start. 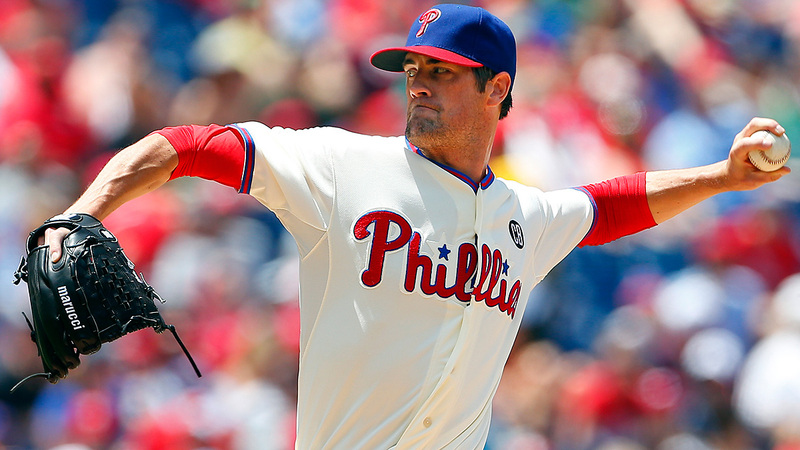 If the Sox don’t bring him back, they’ll be among the favorites for the remaining elite arms. However, it’s going to take more than one free agent to make this a well-rounded roster. The Sox will also have to deal from depth and try to convert the in-house assets that are both expendable and marketable — including Yoenis Cespedes, Will Middlebrooks, Daniel Nava, Jackie Bradley, Deven Marrero, and Allen Webster — into a top-of-the-rotation talent on an expiring contract, such as Hisashi Iwakuma, Johnny Cueto, Mat Latos, or Jeff Samardzija. And if the Sox don’t sign Lester, Scherzer, or Shields, they’ll have to consider making more than one trade, even if it means sacrificing Mookie Betts, Xander Bogaerts, or Blake Swihart to pry Hamels away from an unrealistic Ruben Amaro Jr.
It’s been clear since the Lester and John Lackey in-season trades that the Sox were storing up offense in preparation for a winter deal, and their recent signings only increased the stress on the roster. Sometime soon, GM Ben Cherington will release that pressure with a transaction that shifts the ground beneath Boston’s competitors like a lurching tectonic plate. It’s no easier to predict the details of trades than it is to predict the precise timing of earthquakes, but next week’s meetings are the market’s most active fault. Few teams have followed trajectories as interesting as Atlanta’s over the last calendar year. Just before spring training, the Braves locked up their young core to general acclaim, and they went 52-43 in the first half. Everything since then has been reminiscent of Sherman’s March to the Sea. The Braves slumped to 27-40 after the break and missed the playoffs; Frank Wren was fired; Jason Heyward was traded; and worst of all, B.J. Upton wasn’t. At least the Dan Uggla era is over. On the surface, the Heyward trade and ensuing Justin Upton rumors might appear to point to a rebuild, but the Braves aren’t punting on 2015, as the acquisition of Shelby Miller and the Markakis signing made clear. Instead, they’re attempting to cut big contracts and add control years while continuing to compete, a balancing act as complicated as building muscle while burning fat. Upton is entering a walk year and could be Atlanta’s ticket to more pitching, though the lineup would be weak without him. 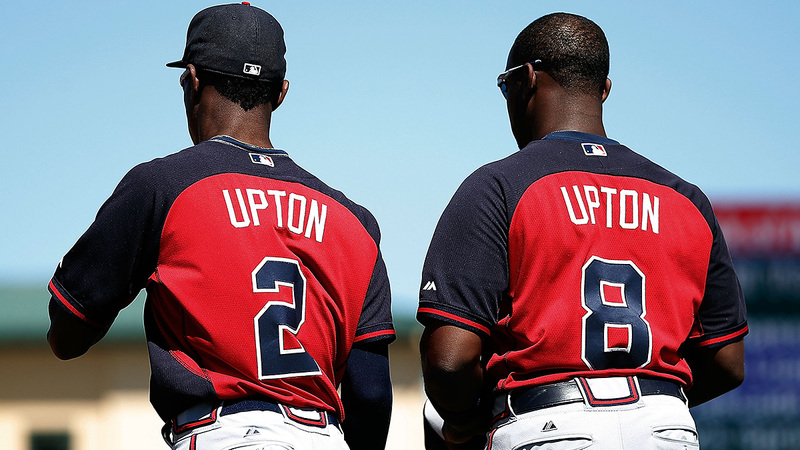 Alternatively, John Hart could try to package the Upton brothers together, although that would preclude the possibility of receiving something other than salary relief in return. Barring another Josh Donaldson–esque curveball, the junior Upton is the best bat available via trade. Since the Orioles’ attempts to land Kemp reportedly went nowhere, it wouldn’t be surprising to see them talk to Hart. After losing Cruz to Seattle, they’re down right-handed power (not that Cruz would have hit 40 homers again), and thanks to Atlanta, they’re also out an outfielder. Maybe the Braves will be good enough to send Baltimore a right fielder to replace the one they signed. However, Atlanta would likely ask for the same high-ceiling pitchers that the Dodgers did. 5. What Will Scott Boras Say? 2013: He chiseled his face onto Jay Z–smack Mount Rushmore (joining Nas, The Game, and Beanie Siegel),3 when he said something opaque about an umbrella that was probably a burn. (Boras zingers have roughly a 60 percent success rate.) He also compared the Cubs’ strategy to sucking a lollipop and called Billy Beane a “master of goulash,” which Michael Lewis wishes he would have said first. 2012: After the Yankees failed to spend a cent at the meetings, he casually insinuated that Brian Cashman lacked any authority from ownership to make offers, which other sources confirmed, costing Cashman some face. 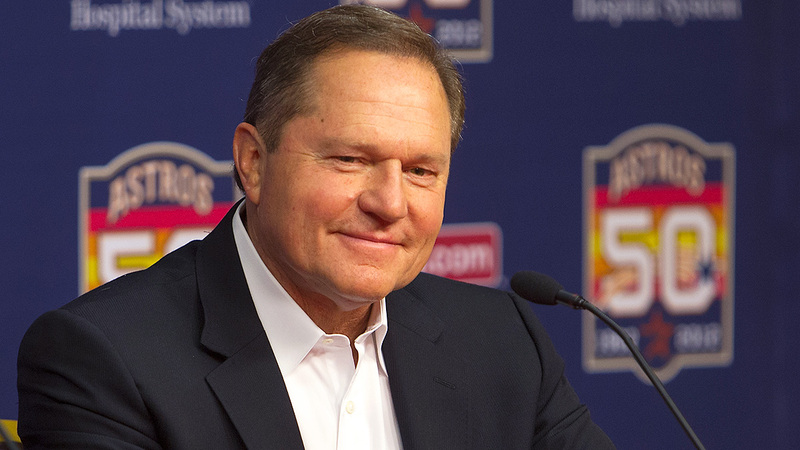 Boras’s quotecraft has never been better, but his stable is light on 2014-15 free agents. Expect him to skewer the Yankees over their supposed lack of interest in his star client, Scherzer, as well as to go to great lengths to obscure how last offseason ended for clients Stephen Drew and Kendrys Morales. Note to Accounting: Jonah Keri ordered the expensive stuff. Last year, teams were hesitant to finalize their pitching plans during Masahiro Tanaka’s drawn-out posting process. Sorry, Drake and Joe Budden.